Ok, so maybe the idea of roasted sweet potatoes doesn’t get you all stirred up like, say, a pan of red velvet brownies cut into heart shapes or something equally charming. 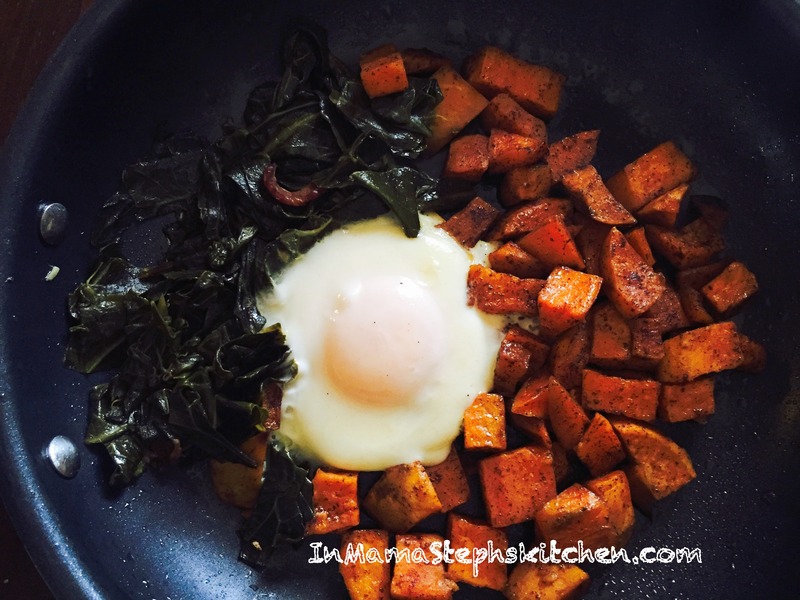 But let me defend the merits of the roasted sweet potato: sweet potatoes are available year ’round, they’re easily made delicious when prepared correctly, and they’re loaded with health benefits. If you’re like me, you were raised eating these potato powerhouses around Thanksgiving and Christmas, and then largely ignoring them for the rest of the year. Also, your mom may have boiled them in preparation for sweet potato casserole. I am a proponent of boiling them for that sweet, gooey casserole, but when it is time for regular meals, when you’re looking for a side for, say, a thick, juicy center-cut pork chop and some collard greens (we’ll talk about my new-found love for those greens soon), then you’ll want to avoid the boil, and use the roasting method. Why? Because roasting the cubes of sweet potato in the oven yields a wonderful chewiness to each piece of potato. There’s no dissolving potato flesh, as with boiling. 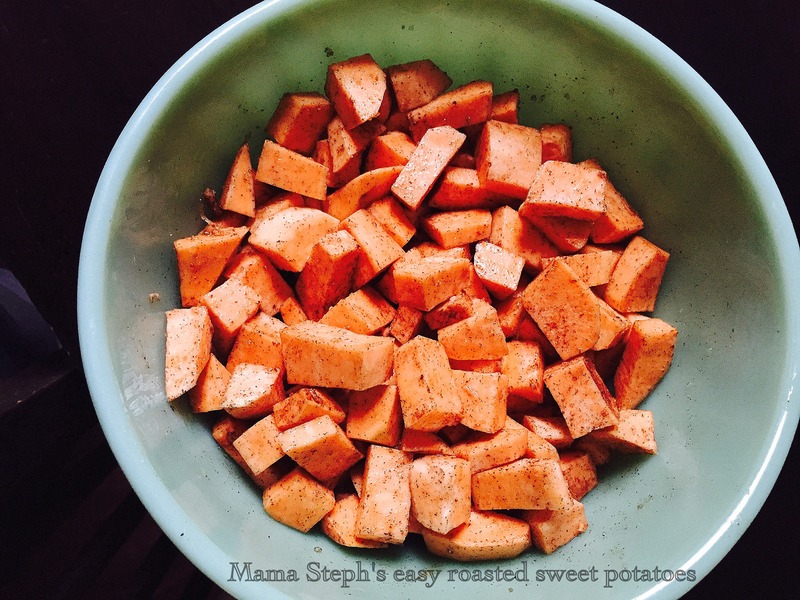 The flavor of the sweet potato is preserved…no, enhanced…by roasting, while boiling removes much of the flavor. So I hope you’ll give them a go. Wash, peel and chop raw sweet potatoes into about 3/4 to 1 inch dice. Drop into a bowl. Drizzle a tablespoon or two of olive oil over the sweet potatoes, and toss to coat thoroughly. Lightly season, if desired. I have always been a fan of savory food for breakfast. Eating something sweet like pancakes or pastries, while I enjoy them, leaves my stomach feeling out of sorts. Not a great way to start the day, so I have expanded my horizons! What do you prefer for breakfast? Previous Post Chocolate cupcakes: What’s not to love?